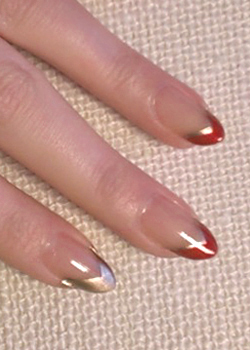 This is a great design for stiletto nails, and perfect for the upcoming Valentine's Day if you're looking for something eye-catching yet not over-the-top. 2. 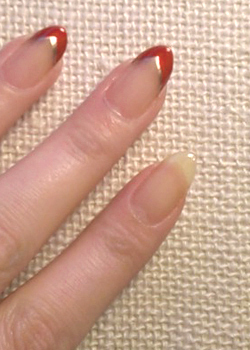 Using essie's penny talk, and starting from the left edge of the nail, make an upward stroke that ends at the tip. Do the same thing for the right side. 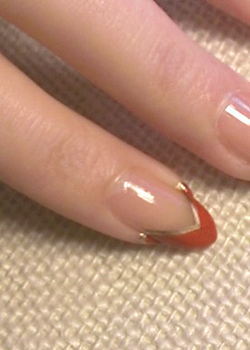 *You can use tape for straighter lines, but make sure your last coat is really dry, otherwise the tape might peel the polish off. 3. 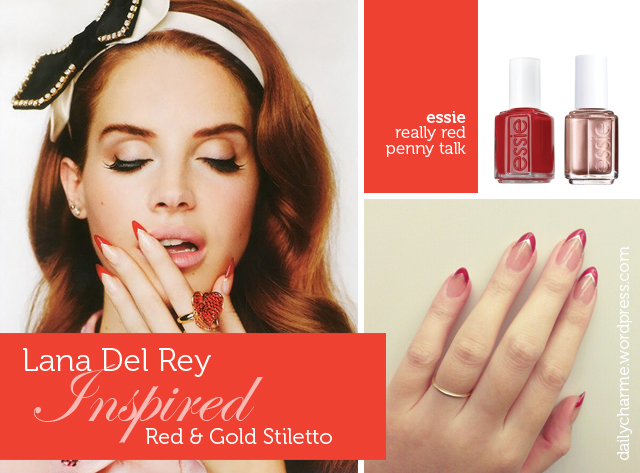 Using essie's really red, and starting from the left edge of the nail, make an upward stroke that ends at the tip. Make sure to leave about 1mm of the bottom gold layer exposed. Repeat the same step on the right side. 4. 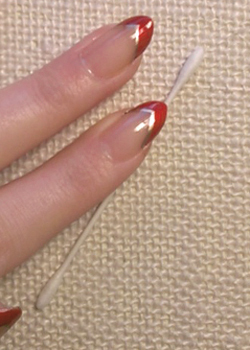 Let the nails dry for about 1 minute, clean up the edges with a cotton swab dipped in nail polish remover. 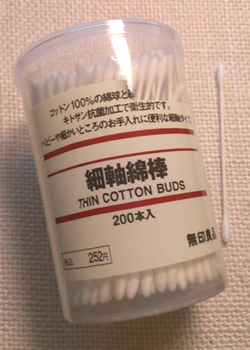 These super thin cotton swabs from Muji are great for cleaning up the corners and edges! 5. Paint a clear top coat.